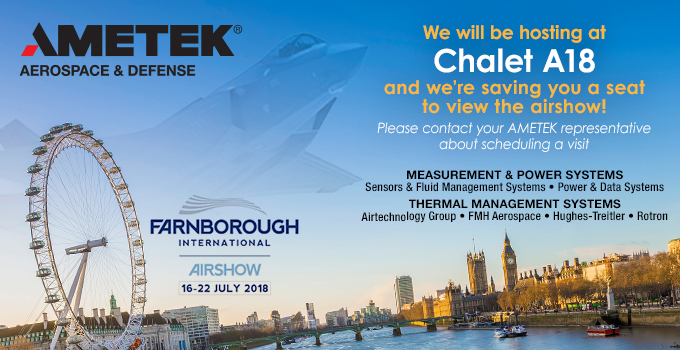 AMETEK Aerospace and Defense will be hosting at Farnborough International Airshow 2018, 16 - 22 July 2018. Come visit us at Chalet A18. We look forward to seeing you there! Contact us today to schedule your meeting.